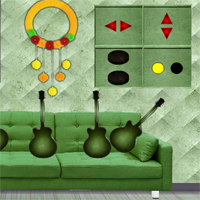 Games4King Find My Duck Toy is another point and click room escape game Developed by Games 4 King.Com.Welcome back, escapers! Story of this game , One of the best period in a human lifetime is the childhood as we all know. We get almost everything we want without putting any significant effort to reach it. As we can recall we also felt terribly when we lost a toy we really loved. How could we bear to see this cute boy suffering from the lack of him favorite duck toy, that he probably lost somewhere on the garden, on him way home from the kindergarten. Let's help him to retrieve the beloved plush duck and bring some smile into him face. 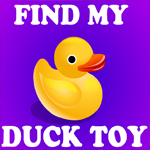 Find the hidden objects and clues which can help you coming across the Duck toy. Are you ready? We’ll see it!. Good luck and have fun!